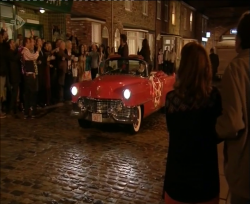 This article presents some thoughts on special live episodes of soaps since 2010, in particular the editions of EastEnders and Coronation Street broadcast in February and September 2015 respectively.1 It identifies some of the ways in which the two series addressed liveness both textually and paratextually, as in their cross-platform interest in interactivity. Engaging with British television drama’s residual qualities of liveness, immediacy and intimacy, these episodes pose questions for our understanding of soap storytelling, in particular its handling of time. The following thoughts are unpolished reflections, taken from before and after a module screening, but form hopefully useful notes for others to develop, for instance in conjunction with this site’s other pieces on live drama across the decades and a forthcoming piece that will discuss soap time in more detail. This piece was substantially revised and updated in 2018. When people talk about live television drama, and in particular the disasters that can befall live productions, actors forgetting their lines and technical faults loom large. Sometimes mention will be made of the incident in which a leading actor died during a performance. It sounds like it could be a dark joke or an industry myth, but it’s true. It’s a morbid story but a fascinating one. 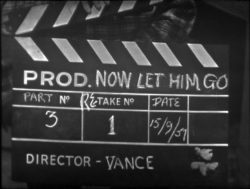 During the 1960s, live television drama on British screens was slowly phased out in favour of the convenience and control afforded by pre-recording on videotape. Ever since, there were murmurs that some unique, special quality inherent in live performance had been lost and occasional attempts have been made to revive the form. One of the most interesting of these attempts was Live from Pebble Mill, produced from BBC Birmingham in 1983.